We have found that learning ability is the leading predictor of success — No. 1 above intelligence and education. These findings mean that even though hiring managers still need to look at an individual’s “capability” to do the job, they also need to realize that it’s equally important to be assessing a candidate’s ability to continually learn new things. Why Is Learning Ability so Critical? Rapid change requires rapid learning — the new reality is that your team’s learning speed needs to match or exceed the rate of change in your field. This means that because external ideas, innovations, new technologies, and new problems and solutions now come so quickly, if a firm simply expects just to keep up, every employee must continuously be on the leading edge of knowledge. Also because of intense competition, even your successful new ideas are now copied so rapidly that continuous learning is required just to maintain your position on top. And that means that traditional “top-down” learning (where you rely on headquarters to learn and then pass down information) is simply too slow. So you need learning at all levels and rapid sharing of the acquired knowledge among everyone, using wikis or best-practice sharing processes. Because of this speed of change, the best candidates and employees are not satisfied with their initial learning. Instead, they will assume that whatever they know will soon become obsolete, so they will proactively continually update their learning and knowledge. Innovation requires leading-edge learning — the most valuable firms in the world have demonstrated the tremendous economic value of serial innovation. One of them, Google, found that innovation is increased when just two factors, collaboration, and discovery (i.e. learning), are maximized. Obviously having new knowledge allows employees to think about new approaches. But it is also, unfortunately, true that if an employee has no new knowledge to share, any collaboration with them loses most of its value in spurring innovation. Learning impacts the job performance in most jobs — most jobs now evolve so quickly that the knowledge required to perform in them may become obsolete in as few as 18 months. Without that new knowledge, on-the-job performance will degrade rapidly. Team speed requires uniform learning — in corporate processes that require speed, having to stop and take the time to educate lagging team members about new knowledge is time-consuming, expensive, and frustrating to managers and other team members. Learning increases your promotability — learning is a key contributor to employee growth and promotability. In fact, a study of one job (sales managers) found that “The higher an individual’s learning ability, the more promotions he or she received during a 10-year period” (Korn Ferry). 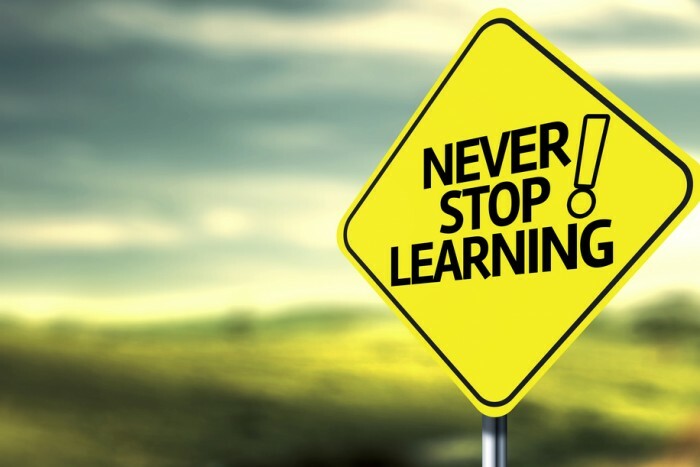 Technology requires continuous learning — because technology is continually evolving, you need to continually learn simply to keep up with the updates. And the fact that technology hardware and software are now permeating more areas of a business will broaden the need for technology learning. Globalization requires more learning — as more businesses get larger and become truly global, the many global differences will mean that there is much more information for every employee to learn. Unfortunately, the physical separation and different time zones and global firm mean that traditional face-to-face learning and collaboration become much more difficult. As a result, those employees who can learn and share electronically in a global environment become much more productive and valuable. Learning ability starts with a demonstratable track record of the early identification of current and emerging corporate problems and opportunities. The individual then acts proactively to continually find, understand, and connect seemingly unrelated leading-edge knowledge, information, best practices, and solutions. Then they must put together these disparate bits of information so that they can be applied to corporate problems and opportunities. Learning ability may be increased more by using the right learning approaches and sources than by inherent mental ability. There are many sophisticated ways that you can measure learning ability. But in the world of hiring, the key is to only use the approaches that are practical, while still actually predicting whether a new hire will learn rapidly and continuously on the job. In order to validate your assessment approach, test your assessment approaches on a range of your current employees in order to determine if they can accurately identify the current rapid continuous learners on your team. My research has identified 14 different possible ways that recruiting can identify whether a candidate is a rapid continuous learner. The different approaches are listed below, separated into two categories. Those are used during the interview and those that can be used outside the interview. Assess their current level of learning with a technical question — sometimes the best approach is to simply ask a candidate what they currently know in an emerging area of the job. So simply ask the candidate a technical question about something that is on the leading edge of knowledge in their field (before him, ask your best employees for topics with answers that only the best learners would know). Asking questions in areas where there are a lot of ambiguities may also show you whether the candidate can effectively learn “on the run” in a volatile VUCA environment. Walk us through your learning steps — sometimes it’s more important to focus on the steps that they take and the process that they use in order to learn, rather than the actual information that they would gather. So ask the candidate to walk you through the steps of how they would quickly become knowledgeable if they were given an assignment in a brand new area where there is very little easy to find information. Either give them a topic area or let them pick one themselves. Expect the best not just to limit their learning to their functional area, but to also learn about their industry and business in general (Make sure you know the right steps in advance by asking your best employees what would be their best learning steps). Downgrade them if they learn independently without collaboration or if they exclusively use only classroom learning, books, Wikipedia, conferences, or academic sources. Also, be concerned if they leave out “failure analysis” in order to learn from their major mistakes or if they don’t apply that learning to new situations. And finally, a systematic data-driven approach to learning that changes with the topic is far superior to the much more common “trial-and-error learning” approach. Ask them to identify learning targets for this new job — if you only have time for a quick assessment, simply ask each candidate to list the “learning targets” that they would have during the first month on the job. Even at the interview stage, the best candidates would already be thinking about what new learning they will need. Assess their knowledge of your company — prior to the interview, the real continuous learners will have done extensive information gathering on your firm and this job. So ask the candidate what they know in-depth about your firm, product, your competitors, and job (that knowledge should include “nonobvious” but important information that can only be found outside the corporate website and with a quick Google search). Have the candidate give you their own example of how they learned — under this approach, simply ask the candidate to show you a recent example (within 60 days) of how they have remained on the leading edge of learning in their current job. Also, ask if the information that they gathered actually had a business impact. Ask them to force-rank their capabilities — give them a sheet listing the key performance differentiators for the job. Ask them to force rank the top five that they excel in. Downgrade them if they don’t include learning ability in their top five. Self-assessment of their own learning ability — ask them to self-assess themselves and to rate their learning ability on a scale of 1 to 10. You can also ask the candidate to reveal their learning strengths or learning weaknesses. Alternatively, you can directly ask them to prove to you in their own way that they are a self-directed rapid continuous learner. Do you currently have a learning plan? — ask them if they currently have a personal learning plan. And if so, ask them to identify their high priority learning targets in their current job. Also, ask them how they developed their plan, its key components, and how they use it. Look for learning indicators in their resume — expect the best learners to mention their learning capability somewhere in their resume or LinkedIn profile. Look for indications that they decided on their own to learn a new area and that they guided their learning with the help of the learning plan. Keywords that might indicate learning ability can include: benchmarking, intellectual curiosity, surveyed the literature, I became an expert, I was a quick study, passion for learning, or I sought out experts. If you have an application form, you can even ask them for evidence of their learning ability. Ask others about a candidate’s learned ability — start by asking their job references to list the candidate’s top five capabilities, in order to see if learning ability is included in that five. Alternatively, ask their job references to rate their learning ability on a scale from A+ to C. If the candidate is an employee referral, ask the referring employee for the same information. Give them a learning problem in advance — prior to the interview, tell them how important learning ability is for success in the job. Then email them a learning topic and tell them to spend no more than one hour on it. And then ask them to either send you the information that they learned by email or to bring it to the interview. Ask them to evaluate a flawed learning plan — send them a “flawed” sample employee learning plan on a leading-edge topic. And then ask them to identify the potential omissions and the flawed areas in the sample learning plan. Offer online assessment — require them to take a commercially available on-line learning ability or learning aptitude test (e.g. Wonderlic offers one) that you have found to accurately predict on-the-job learning ability. Make learning ability a selection criterion — simply placing learning ability as one of the job requirements may by itself attract those with the capability and discourage those who don’t learn quickly. Whatever approach you use to assess learning ability, you should keep it as objective and direct as possible. Don’t expect questions like “What is the last book you read?” or “Do you like to read/learn?” to accurately predict learning ability. Also, never assume that candidates with advanced degrees, a high IQ, or great grades will automatically excel at learning. Most are shocked when they learn that learning ability could actually be the No. 1 competency across all jobs. If you don’t believe me or Google, you can test the impact of learning ability by simply giving one of the listed assessment approaches to a few of your best- and worst-performing employees in a key job. Then use the resulting data to verify that your best performers actually do excel at learning. Fortunately, once hiring managers do accept how critical learning ability is, they quickly realize that it must become one of the listed job requirements and that it must be assessed during the hiring process. However, most hiring managers stumble when it comes to assessing learning ability among their top candidates. But that it shouldn’t be a roadblock because it turns out that even an average hiring manager or recruiter can get a pretty good assessment of learning ability by using one or more of the approaches listed here. And finally, once recruiting masters hiring for learning ability, it needs to work with the rest of HR to ensure that learning ability is also part of employee appraisal and the criteria for promotion to leadership positions. The learning and development function should be encouraged to identify how the best-performing employees learn. And then widely share that among all employees, so that others will be able to easily discover the best ways to learn. If you hire recruiters, you shouldn’t be surprised to find that the very best recruiters continually learn by religiously reading the knowledge articles on ERE.net … even during the holiday season.